You might not know about the healthy foods below, but that’s OK because you’re not alone. These are foods that don’t generally make the shopping list, but deserve a spot in your basket thanks to the healthy benefits they provide. If you pride yourself on your knowledge of food, you probably have some idea. Take the quiz and see how many of these 19 foods you knew about. Just be sure to keep an eye out for them the next time you’re out procuring groceries. Unless you’re from Japan you probably didn’t know about arame, a specific type of kelp that is actually really good for you. It contains vitamins and minerals like Vitamin A Vitamin K, and can be added to soups for added texture and nutrition. Even though it’s a type of seaweed, it doesn’t have that seaweed smell to it that you might have experienced with other forms of kelp. It’s actually pretty versatile to cook with, so if you’ve been shying away from using seaweed, even though you know it’s good for you, this is a wonderful one to start off with. When you first see a rambutan you might think it’s a fruit from some alien world. It looks like a sea urchin pulled from the depths of the ocean, but is actually a fruit that grows on trees. Don’t let the prickly exterior fool you, inside is a soft and delicious fruit that you’ll want to get to know. 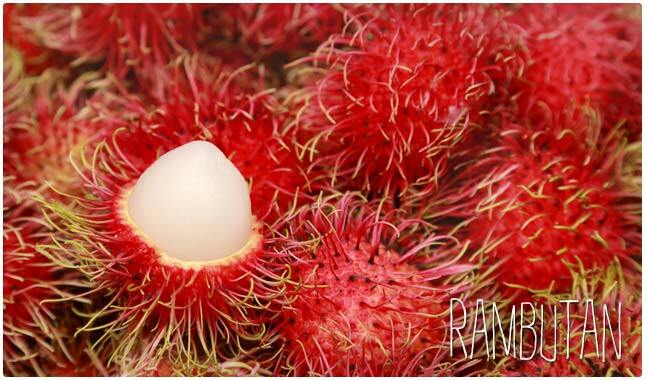 Aside from the excellent flavor rambutan has some excellent health benefits, and has even been used medicinally in some parts of the world. It contains a good amount of Vitamin C, as well as important minerals like phosphorus, iron, manganese, and even copper, all of which your body needs to function at its best. Romanesco looks like something you could design using a Spirograph, and looks like broccoli and cauliflower collided in a great feast for the eyes. In addition to its pretty appearance, it also packs the nutritional punch you’d expect if broccoli and cauliflower had a baby. It is a good source of fiber, and is a surprising source of vegetable protein. It’s also full of Vitamin C, potassium, and Vitamin B6, so it boasts a broad spectrum of vitamins and minerals for your overall health and wellbeing. Use it like you would broccoli or cauliflower for a nice change of pace and better presentation. This healthy food goes by many names, including Bitter Melon, Bitter Gourd, or Bitter Squash, and looks like a mutated cucumber. But this is one food you don’t want to stay in the dark about because it has plenty of health benefits you can take advantage of. For example, it has a soothing effect on the digestive system, and is even used medicinally to treat an upset stomach. Even if you don’t have a stomachache it is still a good idea to add this to your regular vegetable rotation because it’s able to kill off parasites and other unwelcome entities in the digestive tract. You may have noticed Sea Buckthorn as an added ingredient in health drinks, or as a dietary supplement, but did you know that it’s also a berry you can eat directly? The berry itself has a bitter taste, so it’s not recommended to eat them raw, but you can find them prepared and use them in various recipes. While more research needs to be conducted on its beneficial effects on the body in regards to such things as cancer and cardiovascular conditions, what is known is that it is high in Vitamin C and Vitamin E, as well as amino acids and important minerals that make this a little-known fruit that is ready for mainstream popularity. 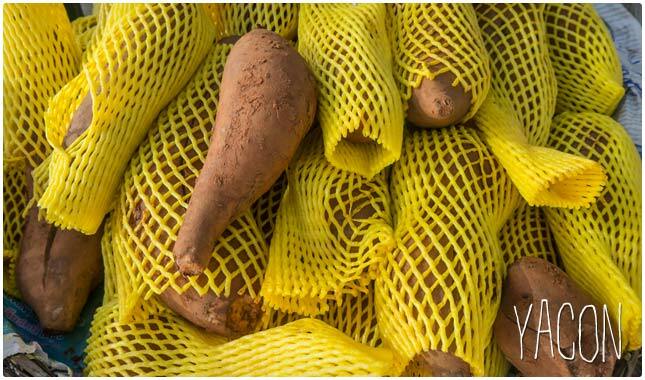 Yacon probably hasn’t made its way into your shopping cart, and maybe even your sphere of knowledge, but it has enough nutritional value that you may want to get up to speed with it in a hurry. You can use all of the different parts of the yacon plant, and it has shown positive signs as being an anti-cancer food, as well as boosting the function of the liver. Foods and drinks that help the liver do its job are very important, as this is the organ that helps the rest of the organs do their jobs, and has a sort of trickle down effect. Most of us know about Chia Pets, but did you know that chia seeds are a super healthy food you’re probably not eating? The omega-3 content in chia seeds is what makes them a superstar, and their small size means you can add them to just about anything, even sprinkling them on top of a main dish for an instant nutrition boost. They’re recommended for diabetics, and have plenty of fiber for being as small as they are. They’re also a non-meat source of protein, and have a nice assembly of minerals that will help round you out for the day. Shilajit is a substance that you won’t be adding to any of your meals anytime soon, but the health benefits it can provide have been widely documented, and science seems to be backing them up rather than debunking them. This is a tar-like consistency and is found within mountains, but don’t worry you can get it in supplement form. It is said to help with everything from diabetes and cognitive function to impotence and fertility issues. The make-up of shilajit varies depending on where it is harvested, which makes it a bit tricky to come to any conclusions on what it can help with, and which version is the most healthy. Amaranth is growing in popularity as gluten-free diets continue their upward trend, but many still don’t know about it or its awesome health benefits. It’s a gluten-free grain that packs plenty of protein, calcium, magnesium, iron, fiber, and healthy fatty acids, making it a great item to use as substitute for other grains. It can help with lowering cholesterol levels, reducing inflammation in the body, preventing cancer, help get your blood pressure to healthy levels, build muscle, and create more energy to burn up. It’s time to seek out amaranth and add it to your cart the next time you’re out shopping. It’s just that good for you. 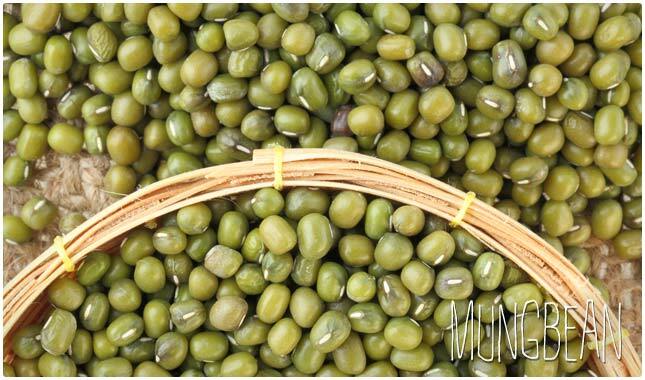 Mungbeans are a bit like ordinary beans but have a look and qualities all their own. You may have spotted them in the grocery store before, but didn’t know what they were. They can help you manage your cholesterol levels and are a respectable source of vegetable protein if you’re looking to reduce the amount of meat in your diet. Promising research shows that there may be a connection between mungbeans and stopping cancer growth, as well as support for postmenopausal women in reducing some of the most common symptoms. Nutritional yeast may not look like much when you first see it. It has a flakey, powdery consistency and because it’s called yeast it’s hard to imagine adding it to anything other than bread dough. But it has protein and fiber in it, and can be sprinkled on pretty much anything for a flavor upgrade and a nutritional boost. It’s low in sodium, even though it will provide a bit of a salty taste as well, and it has B Vitamins so you’re getting these essential nutrients as well. Nutritional yeast is a great substitute for cheese and goes great on popcorn as a topping that will actually benefit you. Surely you know about regular potatoes, but how about their purple cousins? These have a hue that makes them look like they aren’t really potatoes, but they still have all of the basic nutritional components of potatoes, plus additional ones thanks to their purple coloration. They contain more antioxidants in them because of their color, the kind you typically find in brightly colored fruits. These antioxidants can really work wonders if consumed on a regular basis. There is evidence that shows these can help with hypertension, the immune system, and even certain types of heart disease. Camu camu might not be on your radar, but it’s one of the healthier foods around, even though it is in limited supply and comes with a hefty price tag. It’s known for its high levels of Vitamin C, which alone puts it on the map as one of the best sources of Vitamin C pound for pound. But it also contains potassium and phosphorus, and is gluten-free so it can be used on a wide variety of diet plans. It’s been claimed to help with conditions like high cholesterol, high blood pressure, viral infections and more. These cute little guys are covered by a thick outer shell that you open up to reveal a succulent white fleshy fruit. The fruit has plenty of antioxidants, which will help the body fend off the damage done by free radicals. 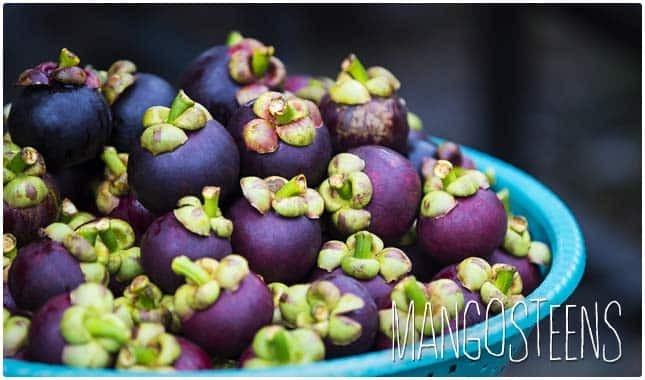 You can eat mangosteen directly, or use it in a recipe, or blend it up as part of a smoothie with other antioxidant rich fruits. 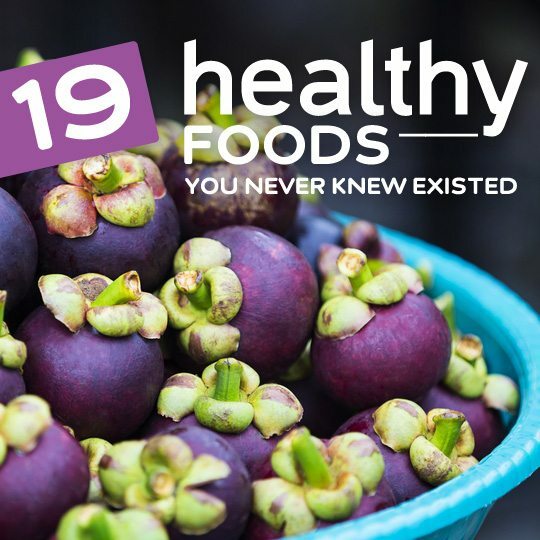 There is plenty of fiber in mangosteen, which will help your digestion and improve your overall health. There is also a nice mix of vitamins and essential minerals that it provides, making it more than just a one trick pony with its antioxidants. Turmeric root has plenty of healthy properties, but you may only be aware of it from its use in Indian cuisine. 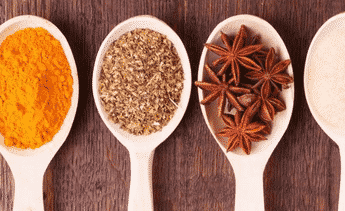 It’s been used medicinally for ages, and it’s documented as an anti-inflammatory food that can help with instances of IBD, and can even help ward off cancer. These are the sort of things that make news headlines, and turmeric has received its share of press, although you might not have been able to figure out how to incorporate it into your diet. You can use it in cooking ground up as a spice, brew tea with it, or add it to dressings and dips. Don’t be alarmed, this garlic hasn’t gone bad, it’s just aged. The aging process gives it health benefits in addition to the ones that garlic already possesses. This is a way of doubling up on nutrition, while adding a special flavor to a meal. It’s special not only because of the way it looks and tastes, but also because of the price. Black garlic comes with a much higher price tag than regular garlic, but because of all the antioxidants it contains it doesn’t seem to be stopping its rise in popularity. Garlic lovers should give this a try to see if they get hooked on it or not. This oddball vegetable looks like a cross between a cabbage and a turnip, and packs some serious nutrition. The great part is that it is very versatile, and can be eaten raw or cooked up into any number of recipes. It makes a great side dish, and provides plenty of nutrients without being calorically dense. It can help with your digestion thanks to the fiber it contains, and is even good for the immune system and circulatory system because of its Vitamin C content and low levels of fat and cholesterol. You’ll definitely want to try it out as a new vegetable to broaden your palate. 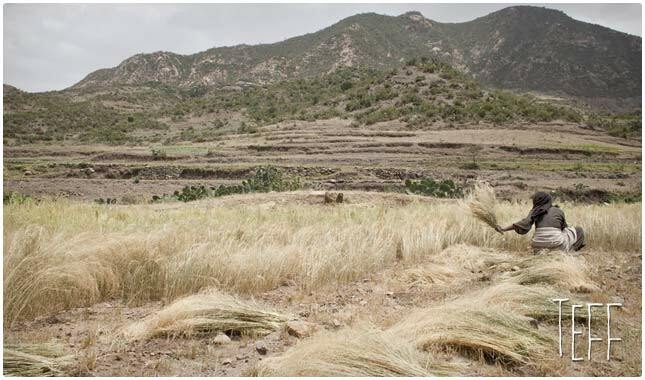 Teff is a grain that is the seed of a grass and is a great gluten-free option for those looking to sub out grains containing gluten. It is high in calcium, which can be helpful if you’re looking to cut back on dairy without losing out on the calcium content. It’s also rich in vitamins, specifically the B Vitamins, as well as plenty of minerals like manganese, iron, and magnesium. It’s got plenty of fiber as well as omega-3 fatty acids so it can help your body do its job and fire on its highest cylinders. You’ve just got to keep some maca powder handy in the kitchen. You can use it in all sorts of ways, and it provides so many benefits that it’s a shame more people don’t know about it. It’s derived from a radish-like root of the maca plant, and has a wide assortment of vitamins and minerals, while giving you an energy boost and improving your skin. There is also evidence that this powder can help you build lean muscle when taken in conjunction with a weight-lifting regimen. I never heard about health benefits of Garlic. By reading your post i come to know about this. Thanks for this helpful post.